Red team to move forward quickly after they have passed the ball to ensure we keep good strcture behind the play. 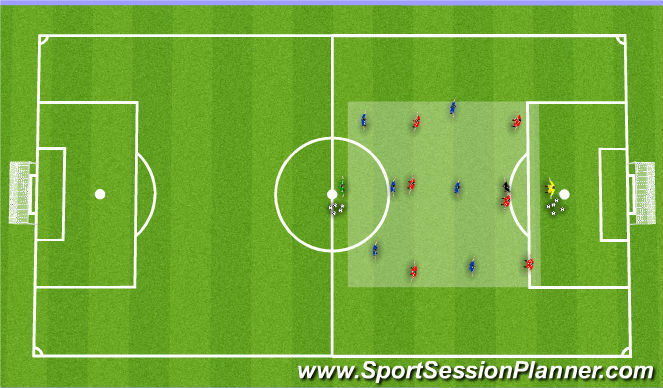 Red team to dribble the ball if open space is in front of them. 2 & 5 red to stay wide and ensure they are an option to play to from the 3 or 4. 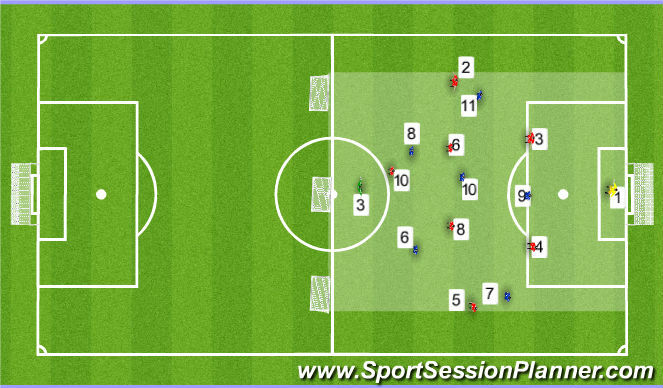 6, 8 & 10 red to move to the side of the feild that supports the ball carrier and ensure they are in a position to receive the ball. 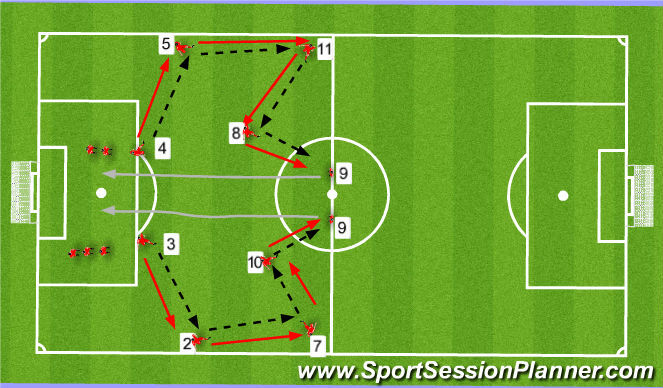 7 & 11 Blue to come inside when they are in BPO to ensure they condense the middle of the feild to close the reds attack down. 8 v 7 with two keepers. ball starts at the end of the keeper that has the ball from a save or goal.